Home / Blog / GC Quad Garage Installation for a private client in Crewe. 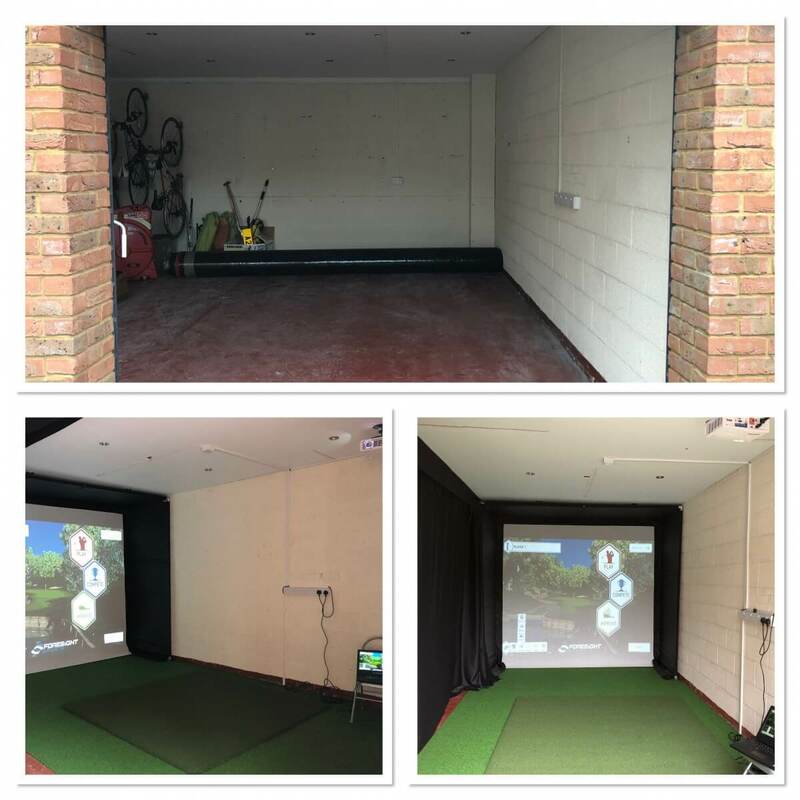 Our client had purchased a Foresight Sports GCQuad and was looking for golf simulator enclosure in his double garage in Crewe. We came up and showed some of our previous installations and made a suggestion of the Home Golf Simulator enclosure and screen. We manufacture these to the size required. Together with artificial putting turf and our renowned Tee Turf mat we installed the enclosure, turf and mat in a few hours. Because this has a low ceiling we specified a projector with 4000 lumins for brightness and a side horizontal keystone. If you notice the projector is offset to the screen. This means there is no shadow for the right handed golf on the screen. Size of the enclosure was 2.5M High x 2.8M Wide x 1M Deep.